..... what can I say... Curvy ROCKS!!! I put more detail in the curvy mesh this time which really translated to an easier time when sculpting. 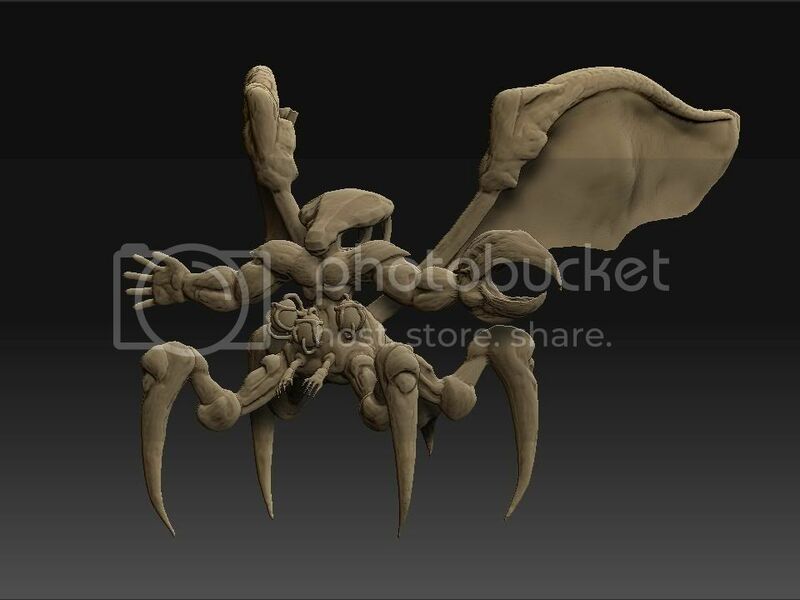 I remember I tried doing something like this in zbrush... but working with the Zsphere's and stuff... I eventually went to something else. 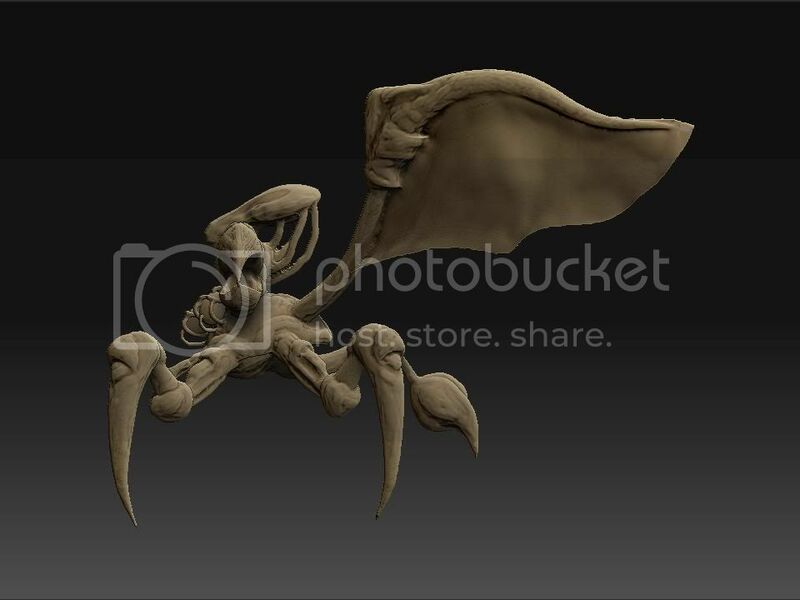 But making the wings and legs worked out alot easiser than what I thought. Well on my next model, I'm going to try and do something more hard surfaced. Nice job Simon. Quite stable to be just in alpha phase. Wow. I really like that! This is exactly my point. Perfect base modeling for detailing. Its not most apps Simon... Its all other apps. 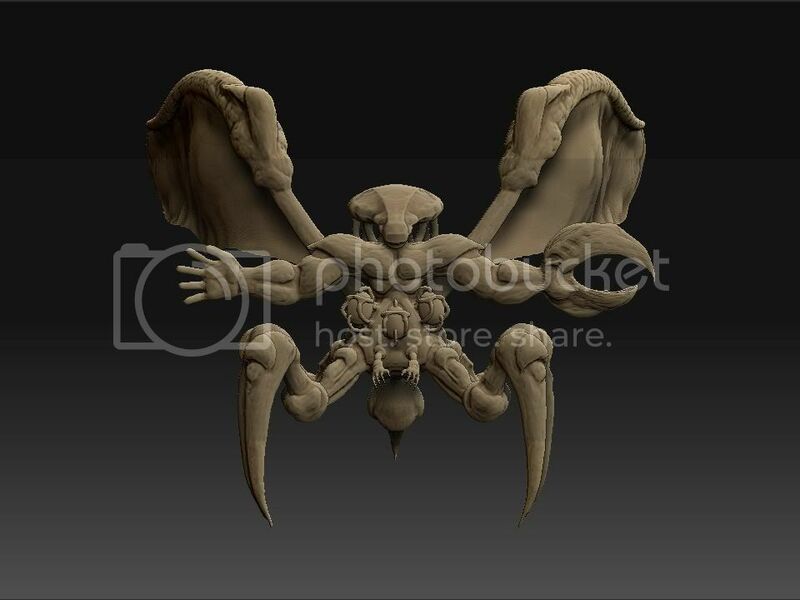 For example take a look at 3dCoat with its volumetric modeling. Good idea but the better way to create your shapes is Curvy and melding the meshes. You have your model and can retopologise after. So simple its amazing that its not been done before by others. People are jumping on 3d coat like its the greatest thing since sliced bread. Simon... You have a massive opportunity here. Grab it while you can and get in there first. If only it was native for all the major OS's. 3D coat seems pretty cool. The concept behind volumetric meshes really seems to take the stress out of worrying about topology flow, thus letting you commit to just plain modelling. I tried out the demo version and messed around with it. It was pretty sweet, but I didn't truly commit alot of time to learning it. But 3D coat seemed to have come a long ways from when it was 3D brush. That is precisely the goal....taking the headache out of topology. Still, no one or no app has the Curve except for Curvy. 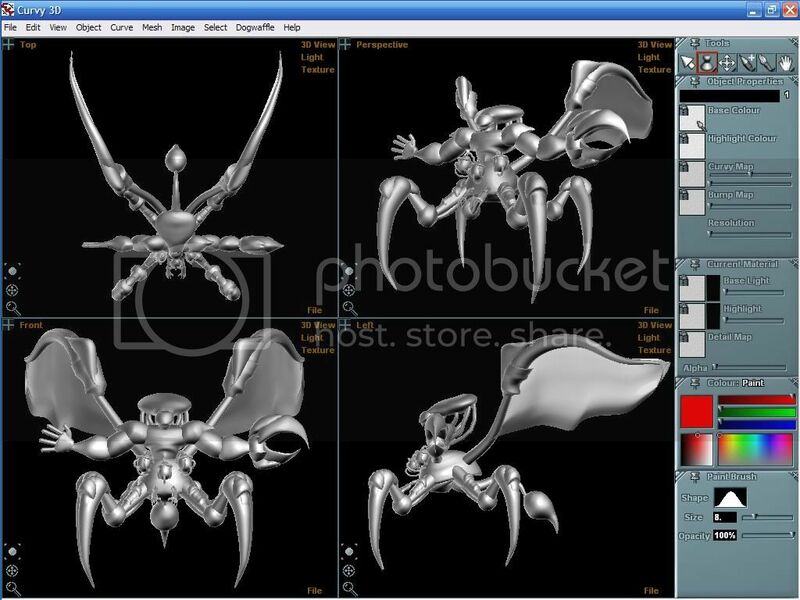 Lathe modeling has many other applications besides the 'character modeling' that so many are wrapped up in these days. Now in that arena, 3dCoat is indeed special not only for some cool things it can do, but because the average joe will be able to afford it. 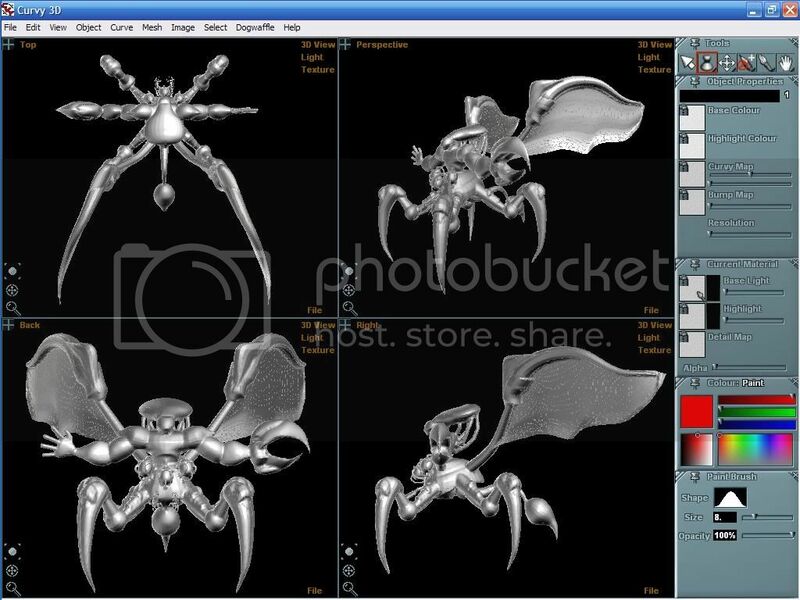 Unlike Modo, Mudbox, etc. Now, as Mykyl states, the key for most of the character modelers is the base mesh. I don't like using Zspheres, I don't like box modeling. I've tried using Archipelis but, for me, it has some issues. I don't like using 3dCoat's volumetric modeling for that either. Curvy, on the other hand, makes some very smooth, elegant base meshes. I'm currently working on a workflow tutorial. Then, I take the base mesh into 3dCoat, voxelize it and then start detailing away. Fun, fun, fun. One cool thing too, is that the voxelized Curvy mesh is spot on for 3dCoat's symmetry.